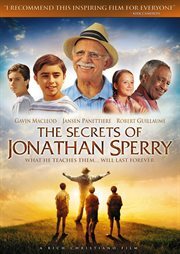 The item The secrets of Jonathan Sperry, (electronic resource) represents a specific, individual, material embodiment of a distinct intellectual or artistic creation found in Sno-Isle Libraries. Dustin and his two best buddies are twelve year-olds looking forward to a summer of fun in 1970. When Dustin mows the lawn of seventy-five year old Jonathan Sperry, a man he has seen at church, a unique friendship develops. What happens the rest of this summer is something Dustin and his friends will never forget. A high quality production with a great cast and message!